Today we are sharing a hidden gem in the state of Maryland. Maybe not exactly hidden to locals or those who have experienced the tranquility and simple, natural beauty found at Janes Island State Park. Janes Island is located on the Lower Eastern Shore region of the Chesapeake Bay. This Maryland state park is partially on mainland and partially on the island itself, is a great spot to settle into with your RV. According to the Maryland State Parks Department website, the island portion of the park – Janes Island – includes over 2,900 acres of salt-marsh, over 30 miles of water trails, and miles of isolated pristine beaches. In the campground, sites are level and most are shaded by tall pine trees. The best RVing sites seem to be in the "B" loop, and most include 30 amp electrical. There is a water fill and separate dump station available as you enter or leave the loop. Bathhouse B underwent a renovation updating project in the fall of 2014. Though the Park does not have a swimming area, you can reach remote Chesapeake Bay beaches on the island, only accessible by following water trails by kayak or canoe. There is plenty of wildlife to see and encounter. Turtles, heron, egret and other shore line fauna make their home in and around the island. Janes Island is a salt marsh, so be sure to bring your bug spray to fend off the mosquitoes and biting flies - which are especially prevalent the end of June into July. Hiking, biking or boating, there are plenty of opportunities to see local wildlife. To learn about wildlife stop in at the nature center. Rangers regularly give educational talks about the local area and the unique ecosystem of the Chesapeake Bay. Besides providing lovely campsites, Janes Island itself has lots to offer. Whether kayak, canoe, or something bigger, Janes Island State Park is a great place to enjoy a paddle or cruise on the water. 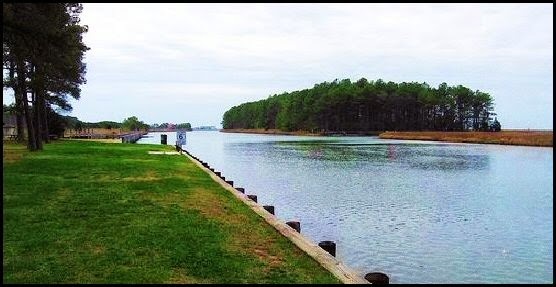 Daughtery Creek passes right along the campground, and the dock by the nature center and park store offer easy access for personal water craft. There are marked water trails that wind throughout the island’s saltmarsh. Most of the waterways are protected from wind and current, providing a great paddle experience for newbies or the experienced alike.If you did not bring your own kayak or canoe, they are available for rent. 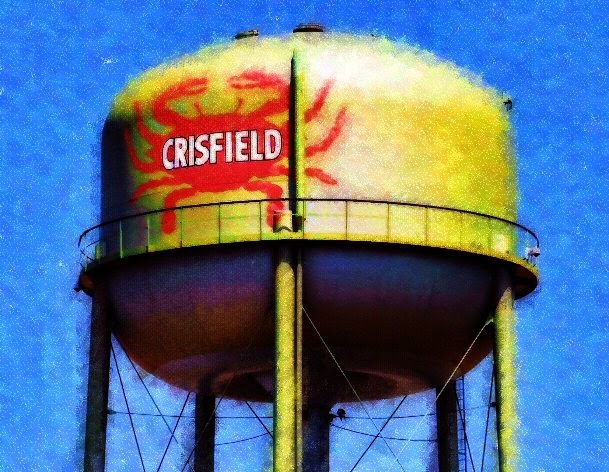 Crisfield's iconic Water Tower - "Crab Capital of the World"
According to Wikipedia, Crisfield was initially a small fishing village called Annemessex Neck. During European colonization in the 1600's, it was renamed Somers Cove, after Benjamin Summers. When the business potential for seafood was discovered, John W. Crisfield decided to bring the Pennsylvania Railroad to Crisfield, and the quiet fishing town grew.This southernmost town in Maryland is now known as the "Seafood Capital of the World". While staying in your RV at Janes Island, this small town just a few minutes away would be the best place to grab some groceries, a pizza, or stop and get your fill of fresh seafood. The town is not a location with fancy eateries or upscale cafes. Enjoy a walk at the city pier and over to the Ice Cream Shoppe located near the city dock for a cone of handmade deliciousness. Observe the work boats bringing in their catch each day and watch the process crabs go through to be ready for your plate.Take a cruise or rent a boat to experience life on the water. One delicious reason to know Smith Island is as the origin of Maryland's official State dessert, Smith Island Cake. 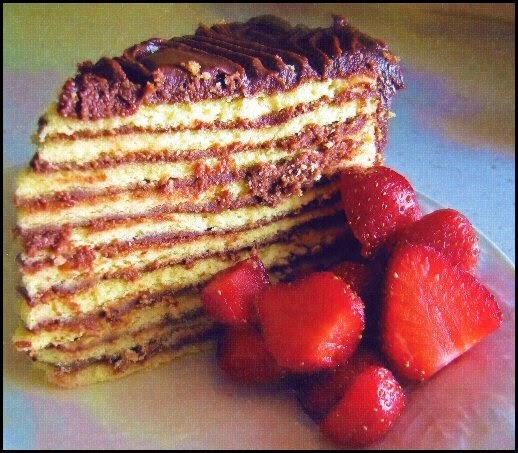 This multi-layered cake's most common flavor is yellow cake with chocolate icing, but other flavors such as coconut, fig, strawberry, lemon and orange are also available. Known simply as Smith Island Cake, the dessert is baked for any occasion and not reserved only for specific holidays. Smith Island is also known for it's residents, which speak with a unique dialect.The island was first settled between 1659 and 1686 by English and Welsh settlers. The inhabitants of the island today can trace their ancestry back twelve generations to those original farmers and fishermen . Even though Smith Island was first found and mapped by explorer John Smith it is not named for him, but Henry Smith, an early land owner. Visit the island and learn it's history, take in the scenery and slow down to a pace of life from long ago. 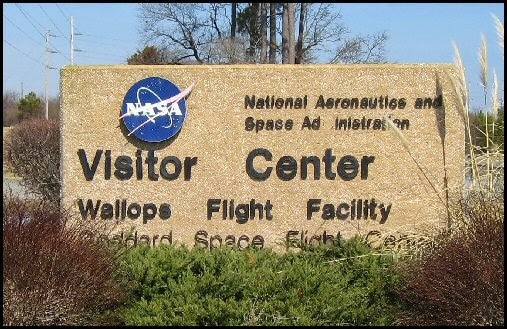 The Wallops Center is a NASA research facility that regularly has testing of rockets and training flights of aircraft. The Visitor Center is located approximately 4 miles from the launch pads with a perfect view of every launch from ground to sky. Inside the visitors center learn about the Wallops facility history, aeronautics, upcoming launches and don't forget to hit the gift shop for a variety of NASA souvenirs.